Remember, it's just an offer, there will be more from other schools. Apparently Eli is visiting Yale this week, a school that made him an offer over a year ago......I don't believe I'd think twice about an opportunity for an education in New Haven! DoubleDipper wrote: Apparently Eli is visiting Yale this week, a school that made him an offer over a year ago......I don't believe I'd think twice about an opportunity for an education in New Haven! Eli says, "I love Yale." And really, why wouldn't he! Thought you couldn't make an official visit until after January 1 of your junior year in HS? Long way to go from Eugene to Connecticut for an unofficial visit. Well, as a Yale grad yourself….you know the Ivy League is a bit different than other D-1 institutions. They don’t give scholarships….meaning they also don’t have National Letter of Intent signings. So it could be they are not bound by the rules prohibiting early “official” visits. …… or maybe Eli took an unofficial visit. Ivy League students and student/athletes receive need-based aid based on a blind admission/financial aid process with the monies coming from the large endowments of the schools. Very few students end up paying much, if anything, for their Ivy League education. As the financial process is for ALL students, not just athletes….it can be a big benefit to Ivy athletes because if the athlete decides not to play sports anymore, the student will still receive financial aid. 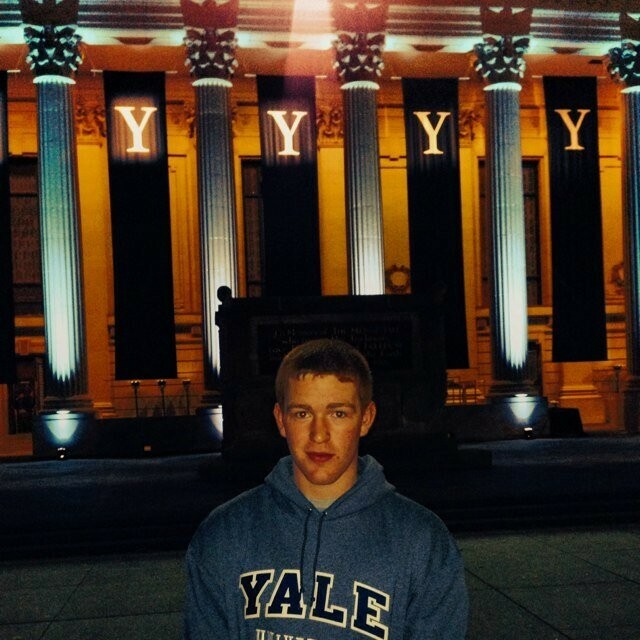 DoubleDipper wrote: Eli says, "I love Yale." And really, why wouldn't he! And now Eli says "I've committed to Yale" - so there ya go, that was quick. @CoachReveno wrote: Brisbane, AUS has been long way to go but great to see a high school tournament in Sept. Evaluating SAT's (skill, athleticism, toughness). Umm, do you suppose he's confused.....Brisbane Boys College power forward James Ringholt (class of 2014) just committed to Portland State, not UP! Portland State gets Australians now? I was about to guess that this was merely a typo, endlessly repeated in the Twitter recruiting feedback loop. But then I saw that Ringholt himself is re-tweeting the messages. 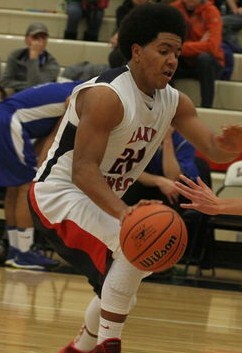 Word is that UP has offered 6'-3" Anthony Mathis a 4 star SG out of West Linn High School.....Oregon State, has too. DoubleDipper wrote: Word is that UP has offered 6'-3" Anthony Mathis a 4 star SG out of West Linn High School.....Oregon State, has too. A local four star, eh? Wouldn't that be a nice piece of the puzzle. 6A state champ last year, too. DeanMurdoch wrote: A local four star, eh? Wouldn't that be a nice piece of the puzzle. Face it, 4 star athletes go to BIG-time programs because of the exposure they will likely get and the perceived NBA opportunities the exposure will bring. The chance of bringing big-time recruits to UP may be slim, but certainly not impossible....it’s all about the fit! I love the energy and persistence UP's coaches show in going after a recruit. They are very good at developing a rapport with a recruit and his family and showing there’s more to UP than just hoops…..so you just never know. Well, it turns out Jazz and I have one thing common.....Beyonce'. A recruit I've been keeping and eye on (and the coaching staff is too) is Robert Franks of Evergreen HS in Vancouver, USA. At 6-7 205, it would appear Robert is still growing and developing and is a very smooth, athletic small forward. Robert is averaging somewhere around 18 ppg on a team that is pretty well balanced. UO, OSU, UW, WSU, and GU have been looking at him, but as far as I'm aware, UP is the only school to make an offer. DoubleDipper wrote: Well, it turns out Jazz and I have one thing common.....Beyonce'. Jazz and I went to the same high school, before he transferred. PurplePrideTrumpet wrote: Jazz and I went to the same high school, before he transferred. Do you suppose he's just having fun this summer? @JoshGershon wrote: Santa Clara and Portland watching 2015 El Cerrito (Calif.) PG Tyrell Alcorn. You'd think Alcorn State would be a front runner for this guy. Iowa and Kansas have to rank up there. wrv wrote: Iowa and Kansas have to rank up there. Not as much as if the school is named after you. With respect for Murdoch’s humor, from which I got a chuckle, I actually think young Alcorn, absent a direct family connection, might feel about attending Alcorn State the way the character in Catch 22 named Major Major felt about being promoted to Major—hence Major Major Major—something to be avoided. But the military being what it was and the world being a cruel place, he was quickly, though undeserved, promoted to Major. I trust that young Alcorn is in charge of his own fate more so than was Major Major Major. Sorry guys, I'll leave the bad jokes out of here. Seems like the Pilots have offered Australian brothers? @TheRecruitScoop wrote: Hawaii & Portland recently offered Australian guards Darryl McDowell-White '15 & William McDowell-White '16, per a source. https://twitter.com/TheRecruitScoop/status/425503943007825920 - Some, errr, interesting comments made by some Australian coach in response to this. So that probably gives some credence to the usually accurate Alex Kline and his tweet on TheRecruitScoop. As you stated, Deaner, "interesting comment by some Australian coach....."
Oh, and Deaner, if puns and bad jokes were banned from this site, some of us would have no where else to express ourselves. Keep it up! 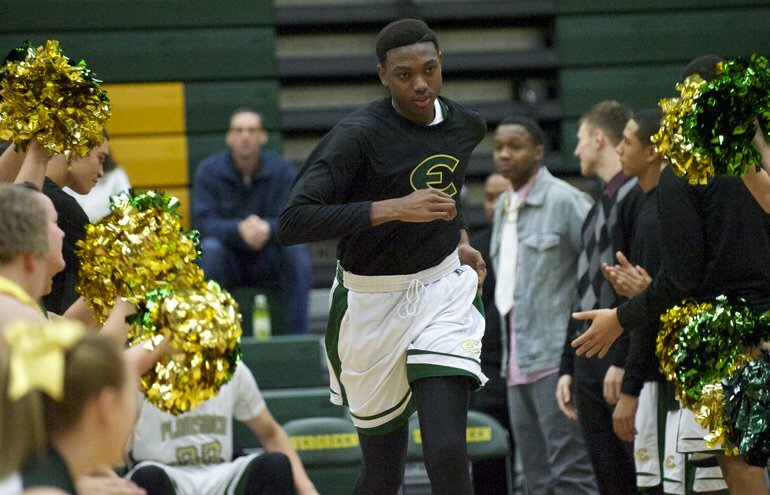 DoubleDipper wrote: A recruit I've been keeping and eye on (and the coaching staff is too) is Robert Franks of Evergreen HS in Vancouver, USA. At 6-7 205, it would appear Robert is still growing and developing and is a very smooth, athletic small forward. Robert now has his second known offer....Portland State.